Dunkin' Donuts presents a fun-filled donut eating championships for adults and kids alike! Participants must be 14 years or older. Entry fee is $10 per person at walkup registration the days of the competition. There will be a 2 minute clock for this competition. 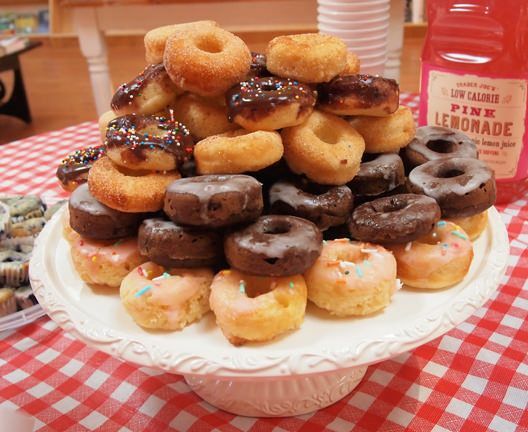 The participant who consumes the most number of donuts in the allotted time will be declared the winner. A cash prize will be awarded to the winner in the amount of $100 and second and third place will receive gift certificates for each day. Participants must be between the ages of 5 and 13. Entry fee is $10 per person at walkup registration the days of the competition. There will be a 2 minute clock for this competition. 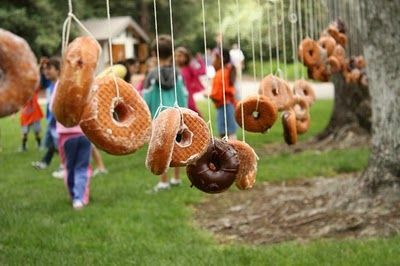 The participant who consumes their hanging donut first in the allotted time will be declared the winner.